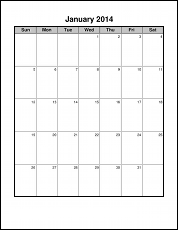 The standard calendars we all know and love. 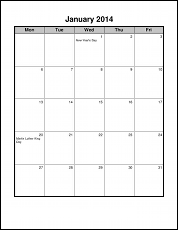 The practical monthly calendar of choice. 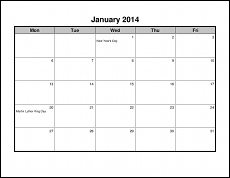 A standard Monday to Friday calendar. 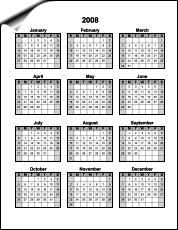 The practical yearly calendar of choice. 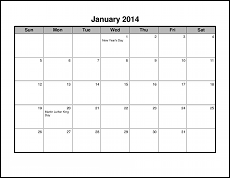 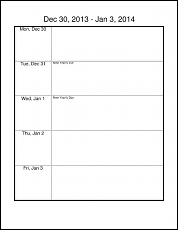 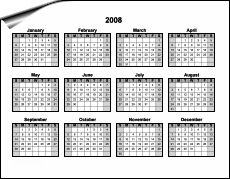 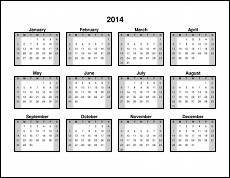 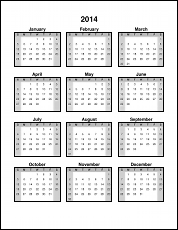 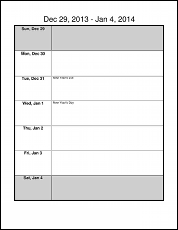 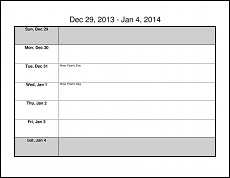 A standard yearly calendar with grid lines throughout each month.